down, relax and wait for the giveaways to be delivered right to your doorstep. My boyfriend told me about the ongoing promo at FujiFilm where we could have up to 100 digital photos printed by them without the need of paying even a cent. All we had to do is to go to their homepage (www.fujidirekt.se/easy - their Swedish website), create an account and place our order. We of course needed to pay for the postage which is not much at all (29 Swedish crowns) considering the 100 pieces of photos being printed by FujiFilm at no extra cost. 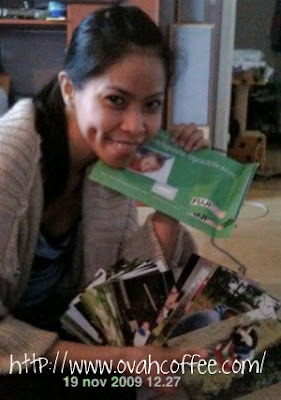 We received the printed photos three days after we had them ordered online. The print quality of the photos were amazing. I love the photos and I have to say that I love FujiFilm, too. Thanks FujiFilm! Until next time! P.S. I am not sure if this invitation is available in other countries. You better check their website to make sure that you will not miss out on this great chance!